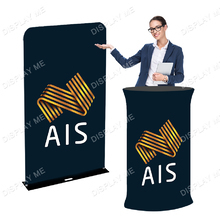 Need a branded exhibition counter that will serve you for multiple events? Then take advantage of our unique range of portable exhibition counters! What sets us apart from all of our competitors is our unmatched versatility of product offers and exceptionally high product quality. Since our establishment, we have hand-picked each product that ever made it to our selection to ensure they exceed industry standards. 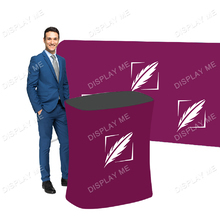 Our offer was designed with your specific requirements in mind - we have oval, triangular and rectangular portable exhibition counter to match your needs. 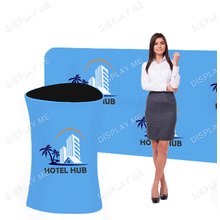 As they are manufactured from finest quality materials, you can be rest assured they will follow you from one exhibition venue to the other, helping you effectively promote your brand.